A new book by two University of Lynchburg professors provides parents and students with a comprehensive understanding of child abuse and the legal system. Dr. Kimberly McCabe, chair of the criminology department, authored Child Abuse: Today’s Issues with criminology instructor Daniel Murphy, a former police officer whose specialty included investigations of child abuse cases. The book was published in December. According to the book’s publisher, CRC Press, the book explores child abuse “from a contemporary perspective in terms of its multiple elements, victims, and criminal justice responses.” It provides details about the general profile of modern abusers and the conditions they take advantage of to perpretrate their crimes. 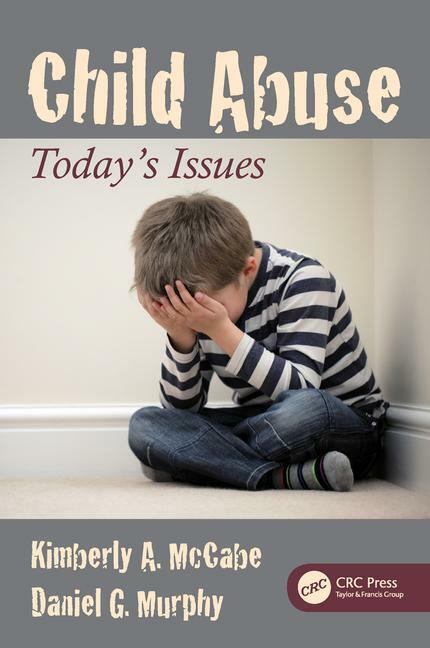 It outlines the long-term consequences that child abuse has on its victims and explains ways that the criminal justice system responds to abuse in the United States and internationally. Murphy hopes other colleges will use the book to help them offer courses about child abuse; according to research he has conducted with a student in LC’s Criminal Justice Leadership master’s degree program, most colleges do not offer entire courses that analyze child abuse from the standpoint of criminal justice. Dr. McCabe also recently completed a book about internet crimes against children, which will be published in 2017.